"The copper dismes are known with both a plain edge and a reeded edge, but the order that the pieces were coined is unknown. Certified as a proof, primarily based on strike and surface quality. Unlike modern proof coins, the fields are satiny rather than highly mirrored. 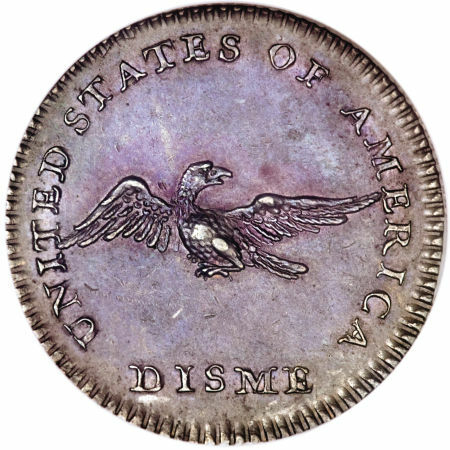 The reflective, satiny surfaces are entirely unlike those of surviving high-grade 1792 half dismes, the latter typically showing full mint frost. 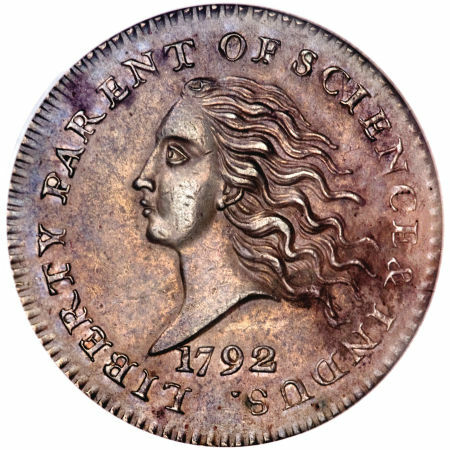 Walter Breen points out that this piece has many of the similar proof earmarks found on the Mint Cabinet piece, now in the Smithsonian Institution, implying that these two pieces are the only ones that should be called proofs."